For those seeking the latest designer brand frames, our optical center offers a full line of the latest styles for the entire family – adults, teens and kids. Our team of highly experienced opticians will guide you through the many frames and lens choices to help you find the perfect size, comfort, color and style for your prescription and lifestyle. You’ll also find that we carry more than just everyday eyewear. We offer safety eyewear that can protect your eyes from unexpected eye injuries. 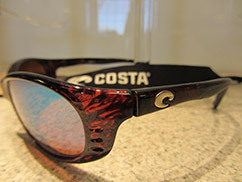 We also offer sport glasses and other types of safety eyewear that meet OSHA and ANSI guidelines and standards. The latest in lens technology is available to you for eyewear selection. This includes high index, polycarbonate, transitions, progressive/no-line bifocals, and anti-reflective coated lenses. The Crizal Prevencia No-Glare lenses are the first on the market to selectively deflect harmful blue light and UV radiation while providing improved protection for eyes by allowing beneficial light to pass through. These lenses are designed to resist glare, scratches, smudges, dust, water and UV rays. Ideal for both indoor and outdoor environments, BluTech Lenses are the ultimate in protective eyewear and visual performance. BluTech Lenses are crafted from durable material and offer you complete protection from UV rays and harmful, high-energy blue light found in fluorescent lighting and electronic screens (phones, tablets, computers, TVs, etc.). Those who are at high-risk of macular degeneration will especially benefit from wearing these protective lenses which can be placed into any frame style. The Eyezen lenses are a technological advancement designed for how you view all your modern digital devices. Eyezen lenses selectively filter up to 20% of harmful blue light rays. The precision-engineered coating lets beneficial blue-turquoise light pass through to help you see comfortably regardless of device sizes and the distances you hold them. 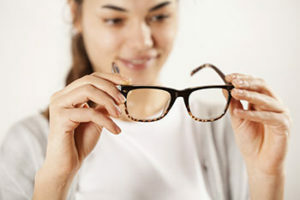 We also offer one of the newest technologically-advanced lenses available with the Varilux S Design™ lenses by Essilor. These lenses were created using the latest advances in optics and the deep understanding of wearers’ physiology. With these uniquely designed lenses, wearers will no longer see edge distortion often found with standard progressive lenses. The sensation of things moving when you turn your head is also eliminated. Most wearers report significant improvement in overall vision, including distance, intermediate and near vision. Learn more about Varilux S Design™ lenses through this video. Our full line of designer brand sunglasses offer you style and comfort while protecting your eyes from harmful UV rays. Prescription sunglasses are available with several lens options to suit your individual needs. This includes various lens materials designed for durability and Transitions® Lenses that adjust with the changes in sunlight. Treatment options include coatings that block UV rays, polarized lenses that reduce sun glare, responsive lenses that darken when exposed to UV light, and more. We are your one-stop shop for eyewear needs. Our certified and licensed opticians will gladly assist you with any questions you may have about any of our designer brand frames, lenses, sunglasses, protective eyewear and more! Our optical dispensary features not only the latest in designer brand frames, we also offer a full line of brand-name sunglasses available in prescription and non-prescription lenses, including polarized, anti-reflective, mirror coating, and a variety of color tint options. The convenience of our on-site optical dispensary is designed with you in mind. You’ll receive professional service and personalized attention to ensure your eyewear solution fully satisfies your visual needs.